One of my favorite things inside my room is my nail art cabinet. My room could get so, so messy but my nail polish cabinet would always be neat and organized. I just love the burst of colors coming from it, as if being my personal rainbow. I got the 4-layer rack from SM Department Store for Php 1,299. ($30) I love that the rows aren't equal so when I'm looking from the top, I could still see the polishes on the next layers. It makes the color-searching so much easier! My old cabinet used to be closed on the sides and at the back. This cabinet is open on all sides so I could always grab the bottle no matter where it is! So convenient! O.P.I is okay, in my opinion. However, for it's quality, I think the price is over-rated. I have 8 bottles of them so I think it would be safe to judge the brand by the ones I own. The colors aren't very pigmented. I was expecting they would last for at least a week on my nails but they only last 2-3 days, even with a good top coat. The ones that I have from ZOYA are in bright, Summery colors and I love them! They are pigmented and they don't make my nails yellow-ish! Usually, light colors like baby pink and light yellow would be difficult to apply as they wouldn't be too opaque. But the Zoya ones are pigmented! When I was just starting to build my collection, ORLY used to be my favorite because they are so easy to find in local malls and shops. But I noticed that some of the shades (especially the Green Apple) make nails soooo yellow after you remove them! I hate it. I remember a lot of people on YouTube noticed my yellow nails when I did one nail art. They didn't know that I had just recently removed the Green Apple on my nails. Plus, they recently increased their price and changed the bottle. Why? I also love Essie's brush and consistency. The polishes are also pigmented! However, I don't like that the smell is too strong; almost reminds me of the smell of "plastic balloon" I used to blow when I was young, Plus, the price is higher than the other brands, given that it comes in a smaller bottle. I used to think Revlon was only for make-up but I was wrong. See, I have quite a lot of them now! hehe Revlon, in my opinion, is for the people that prefer sublte colors on their nails. Most of their colors come in Earth-tones that are perfect for a classic look. 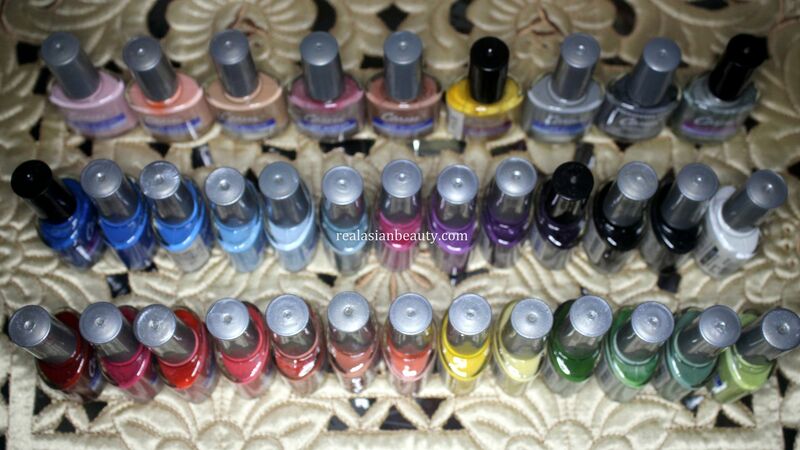 My favorite from Revlon is the Revlon Parfumerie Nail Polish! They just smell soooo good! No hint of nail polish scent at all! Recently, they came up with Colorstay Gel Envy Polishes that come in bright colors, are pigmented and stay on nails for a few days . I don't know the price per bottle yet but I'm guessing they would be around Php 350 each. 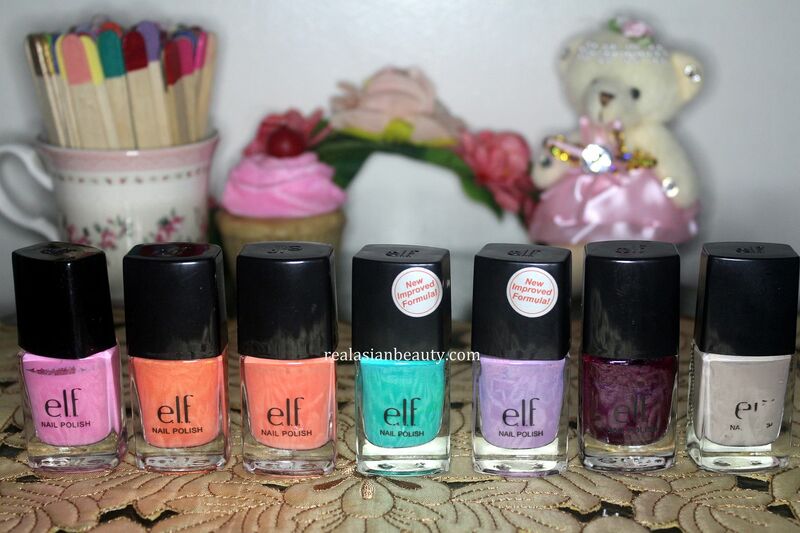 I forgot the exact price of these nail polishes since I got them a long time ago. NYX nail polish is not so good. The colors are not very stunning, the consistency is too thin and if you let them sit for a few months, you will notice that white color starts to build up in the bottle. But I got these a long time ago, I am sure NYX improved the quality of their polishes by now. Have they? ELF is a brand that you will either hate or love. I have read some good reviews about these polishes, and some bad. I personally like them because they aren't very expensive. 'The brush is also nice and 2 coats are enough to give you vibrant nails! But I don't like that they come in limited colors and the caps doesn't go back to it's original position when you twist it back on. I got this set from Forever 21 a few months ago. I was impressed with Forever 21 nail polishes because they are quite opaque and not very expensive. Etude House is the NO NO of all nail polishes! The consistency is just downright tacky and thick. Yes, they do come in pretty packaging and attractive colors, but other than those, the quality is just not good. 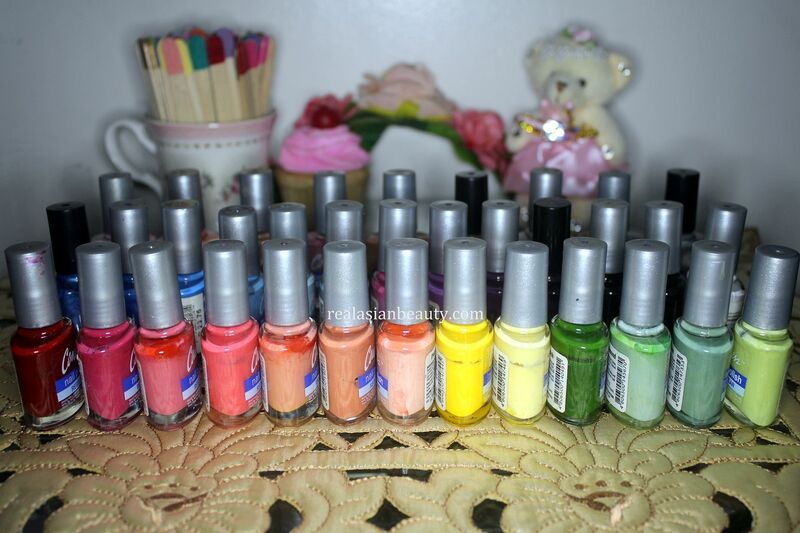 I have a lot because I used them when I joined an Etude House nail art contest. But I stopped buying the brand after that. I wanted to try every Korean brand of nail polish so I bought some from The Face Shop. I like the bottle of the two at the right. But the consistency of those is rather too thin. My favorite among these 7 is the red one on the left. I only have 2 from Skin Food but the pink PK 202 is one of my favorite polishes EVER! The consistency is so good, very pigmented, the brush does not leave ugly streaks and lasts on the nails, too! Have I mentioned that Skin Food are supposed to be organic so won't leave ugly yellow stains on the nails? Love that pink! 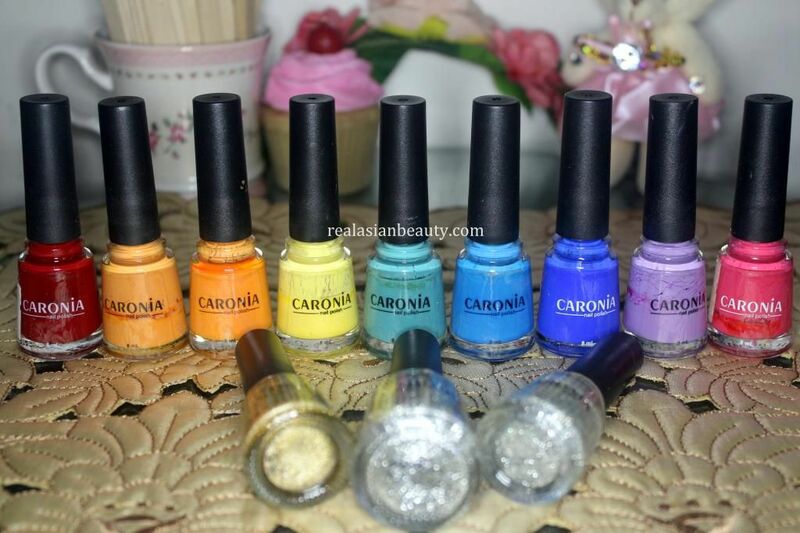 Caronia is one of the oldest local Filipino nail polish brands in the Philippines. The colors are nice and very vibrant! But I don't like that they easily get thick, that's why I always need a thinner to go with it. If you have kids that say "Mommy, please buy me some nail polish. ", go buy them these! These polishes are like little Skittles! They are so colorful. I often stumble upon racks of Caress polishes and always get amazed! They have 1 million colors, always! And the price is very, very cheap! I got these from Divisoria and honestly, I feel like I would die if I use these. lol You know those news reports where they say "smuggled" items are being sold in Divisoria? I guess this brand is one of those. Ugh, the smell is just so strong and I feel like it has led, too! hehe (#judemental) But really, I never use these. I just like to display them because they are so cute! Some more local brands that I have. These also come in very thin consistency that would require you to apply at least 4 coats. Bobbie is the best brand among these 3, but their colors are also limited. I don't even know why I have these La Belle polishes. In frosted colors. hehe. If you noticed, I'm not really into frosted polishes as they look tacky to me. They make your nails scream, if you get when I mean. LA Colors is pricey, in my opinion. It sells for Php 89 but the quality is just mediocre. Their brush is nice, though. Feels like the kind of brush you'd get from a high-end brand. I love the Maybelline Color Show polish but I only have it on 1 color so it had to be included in this set. The polish is pigmented as well. However, the brush leaves some ugly streaks if you don't apply the polish properly. I got these back when crack nail polishes were the in thing. The ones from OPI costs a fortune so I was glad when I saw these. They are still in good condition until now but I'm not sure if anyone would still be interested to see crack polish. This is my favorite brand of base and top coat. I can't believe I have looked all over just to find the best when the best was right in front of me all along. I have tried Seche Vite and I still have two bottles of those but I stopped using them when I discovered this brand. It dosn't make the nails thick even after applying. Seche and other brands always ruin my nail art and make my nail art appear so thick when I use them. 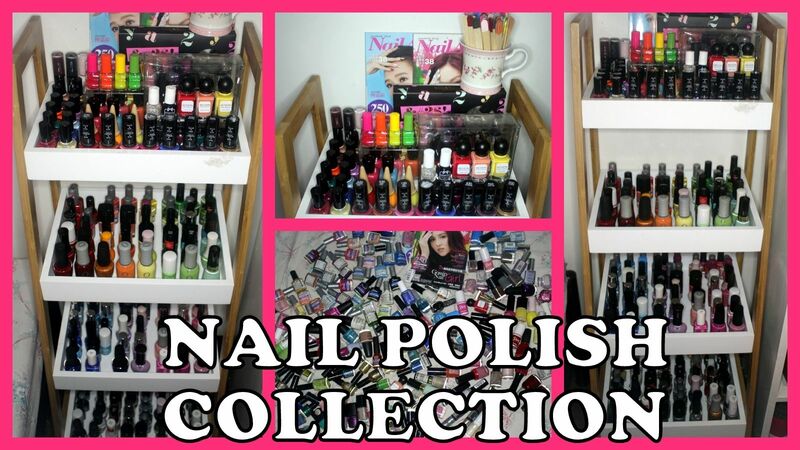 This brand just protects the nails and gives superior shine and makes the polish stay on nails longer, branded or not. Seche Vite is hyped and praised by a lot of nail artists that's why I bought them. But they are over-rated, in my opinion. They always, always ruin my nail art. That's why if you notice in some of my videos, the polish would smear every time I apply top coat. The culprit is this! Always. After a few uses, it also becomes thick therefore leaving your manicure looking thick, as well. I still have 2 bottles but I stopped using them. The Orly doesn't do any good, either. I am so glad I found the Caronia Base and Top coat! Yay! That's my entire nail polish collection. I also inserted a short review for each brand just in case you wanted to know if you should get it or not. I hope this post was helpful and entertaining!